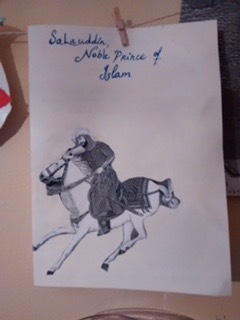 She used costume dress up, creative play and then the children made a book with the highlights of Salahuddin’s story. In this way the children have made their own history book to keep and share. I love this project and I hope to use this living history as well as creative history book model to study Islamic history in the future. Please share your ideas for teaching children about Islamic history.